How about keeping it stupid simple..? 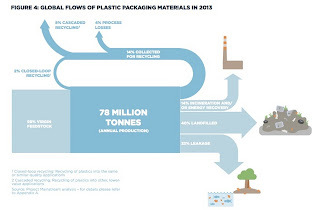 just like dogs fouling, fine the dog's owners.. but in case of plastic bottles & packaging (as seen in picture in the above article on guardian) fine the brand producers of the bottles/packaging locally? this might encourage smaller local brands (new or old) to create a virtuous circle (& minimise wastage) to service needs of consumption but balancing needs of environment. good report to raise the issue but sadly no government would have enough power or dare to pass such law. "Actions must be spoken now" (no time for writing another report!) . (trying to do word play on "action speaks louder than words"). 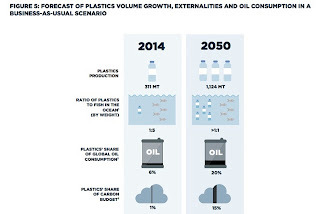 Download Ellen MacArthur's New Plastic Economy report here.